What Can TMJ Therapy in Weatherford Do For You? You may not realize it, but your temporomandibular joint (TMJ) is the most complicated joint in the body! This is partly because it’s the only joint that’s bilateral, meaning that the right and left sides have to smoothly work together for the joint to function properly. In addition, every time you eat something the chewing forces on each side must be balanced. As if that weren’t enough, the TMJ is also unique because it actually hinges and slides, whereas most of the joints in the body only move one way. As you can imagine, all of these “moving parts” mean that your jaws can become painful if any of those movements are off track. If you’ve ever experienced this type of pain and discomfort you know how it can impact your life. The good news is that with advances in modern dentistry, help is available! In this blog, we’ll take a look at how TMJ therapy in Weatherford can be an effective, non-surgical way to treat this challenging condition. Pain in the jaw joints themselves. Damage to teeth from clenching and grinding. It’s important to realize that all of the muscles in the head and neck are interconnected, so tension in one area can spread to the surrounding areas. Unfortunately, this means that TMJ disorder can be a pain in the neck – literally! 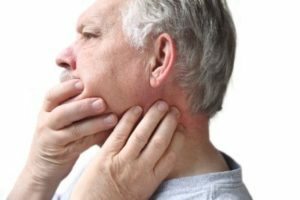 How Can TMJ Therapy Help? TMJ treatment in Weatherford is a great option that can offer a lot of relief – without the recovery time often associated with surgery. There are several different appliances that you can wear at night that can help reposition your jaw into a more favorable place. The type of appliance will depend on the specific cause of your TMD. Using technology to see what’s happening with the jaw joint, your dentist will be able to see exactly what the cause of the problem is. Oftentimes, the joints have somehow gotten out of alignment over time, which can occur from clenching or grinding. Another possibility is that the discs have become displaced, torn or perforated. Some patients simply have degenerative joints. Once the cause has been determined, your dentist will know which type of appliance will best treat your TMD. Once in treatment, you’ll be on your way to reduced pain and a more comfortable quality of life. All without surgery! Dr. Deborah Romack and Dr. Garrett Mulkey are general, cosmetic and restorative dentists who understand the impact that jaw issues can have on their patient’s lives. They have pursued extensive continuing education so that they can offer treatment and relief for this uncomfortable condition. They can be reached for questions through their website or at (817) 594-3806.
by: Dr. Deborah Romack at March 1, 2018 . Comments Off on What Can TMJ Therapy in Weatherford Do For You?